Wow! Fairy whispers indeed. Thank you so much for this wonderful review. You might be interested to know that I actually did rune castings, using scrabble letters, when I got stuck in the plot. The results were spooky! Alana is the person I might have been had I had the courage. I loved writing this story especially as it’s based where I live. Alana determines to escape her past and opportunity beckons when she’s left a run-down cottage in a West Wales’ village by an aunt she didn’t know existed, but her past is catching up on her, and someone is out to get her. Strange runes painted on her door and carved onto ancient stones in a stone circle, hint at a dark undercurrent of tragedy and intrigue, and she is caught up in the village’s conspiracy of silence over a thirty-year-old crime. An eccentric old woman who casts runes, an ambitious young female investigative journalist, a two-year-old girl, a good-looking male busker, and an ex-lover make unlikely bedfellows but combine to send Alana on a voyage of self-discovery that blows her world apart. 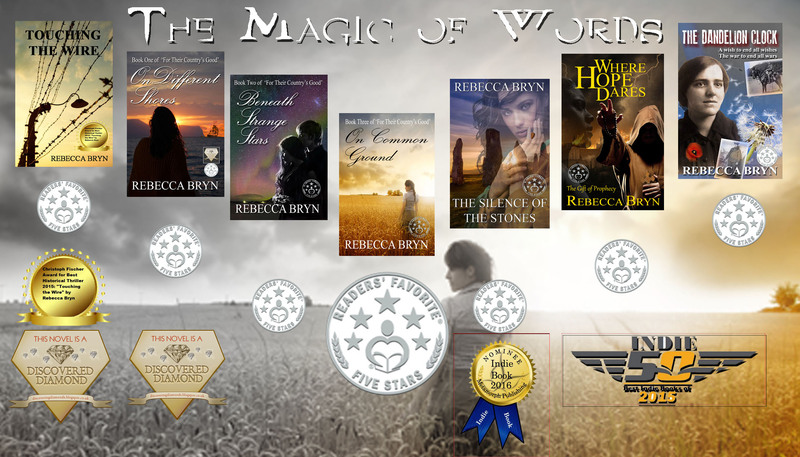 Can she discover the truth hidden in the stones in time to save those she loves? I had one poor reader who stayed up until 4.45am to finish it! 🙂 I’m so pleased you enjoyed it, and I hope you find something else you enjoy. Most of the others are historical fiction. And thank you again for the review and shout out. Greatly appreciated.